One of the problems of democracy is that random people can come to power using its mechanisms. They can even head countries. But democracy is still the best option available. 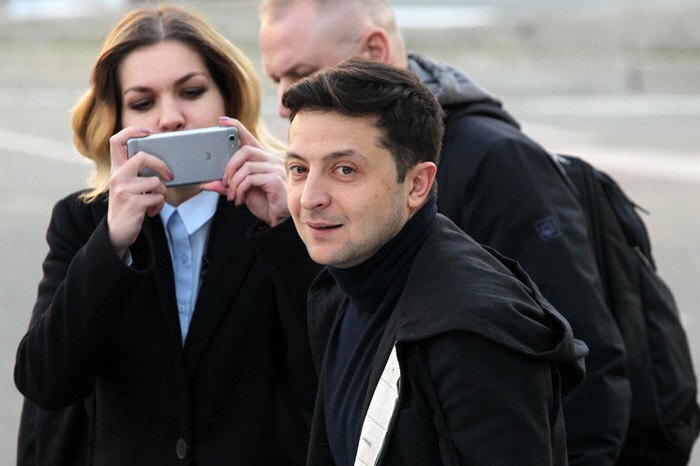 Volodymyr Zelenskyy, who received 30% of the vote in the first round of the presidential election, remains the "dark horse" for Ukrainians and foreign partners ahead of the runoff. Public communication with the media, during which burning questions can be asked, has been strictly regulated. 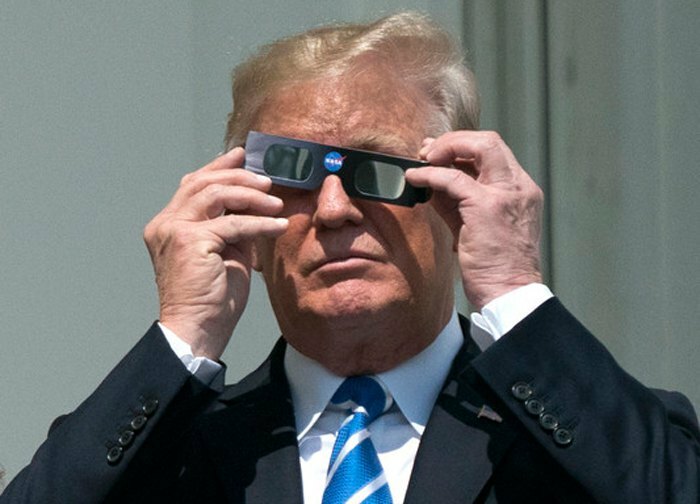 Instead, his team has been filling the information space with pre-recorded videos of his meetings with selected media or staged video clips. His election programme is explained mainly by members of his HQ rather than Zelenskyy himself, so it is hard to understand the real intentions of the candidate. Foreign politicians and diplomats who spoke with Zelenskyy in person do not speak publicly about his incompetence and unpreparedness for presidency. Thus, now there is a risk of a random person taking Ukraine's highest post: without any political expertise, with unclear plans and unidentified team members. Under such conditions, naturally, there is growing anxiety over the future of Ukraine, which has been defending itself against Russia for five years now. How will a potential president behave with regard to the occupied territories - Crimea and parts of Donetsk and Luhansk regions? What kind of commitments to and relations with oligarchs and runaway officials of the Yanukovych time does Zelenskyy have? Will the ongoing reforms continue? Will the pace of the course for the EU and NATO, which is enshrined in the Constitution, be kept and what is the real meaning of a referendum on these issues? These and many other questions remain unclear. In countries with strong government institutions, other branches of government, such as a strong parliament, act as a guard against the rash actions of a state’s first person. This happened in the United States where the Congress has "extinguished" the initiatives of victorious businessman Donald Trump to bring the United States closer to Russia, cancel the medical reform, build a wall with Mexico, etc. Given the big risks posed by Zelenskyy's potential presidency, there is a renewed discussion among Ukrainian politicians about the need for constitutional reform in order to devalue the presidency by making parliament the decision-making centre and turning the prime minister into the de facto head of state. This would require stripping the president of a number of powers, including the power to appoint the foreign and defence ministers, the chief of the Security Service of Ukraine (SBU) and the prosecutor-general, which would leaving him or her with ceremonial powers only. The likelihood of this scenario is high and it can be launched after the second round of the presidential election in the event of the defeat of the incumbent president. Previously, Petro Poroshenko did not support the idea of the People's Front to limit the powers of the president, but now these changes would give him a chance to continue political fight, but this time for the prime minister's post. This scenario is likely to be supported by other key players in parliament, first of all, Yuliya Tymoshenko. If this reformatting takes place, state administration will become less effective because of the need for a bigger number of agreements, negotiations, agreements and "deals". But it would also create a more stable system of checks and balances, which would safeguard the state against the voluntarist acts of one person, which (by virtue of his world view, preparation or interest) can alone take decisions that could be harmful to the country. The main violin in this case will be played by political parties. There were similar cases of reformatting political systems, even in the post-Soviet space. We can recall Georgia and Moldova. And whereas in Moldova a real war continues between the president and parliament – with MPs winning, Georgia recently went even further: the next president will be elected not by popular vote but by parliament. Let us look at these examples in more detail. Here, the president's powers have been limited twice in recent history. First, at the end of his second term, Mikhail Saakashvili changed the Constitution (2010), having cut the powers of the president and redistributed them between parliament and the government. According to the updated Constitution, the president of Georgia retained the title of the head of state and remained the highest political official but without executive functions. The reason for such changes was Saakashvili’s intention to remain in power by moving to the prime minister’s seat after his second presidential term expires. However, he lost the parliamentary elections and, fearing the opposition, flew first to Brussels and then moved to the United States without even waiting for the end of the presidential term. The second time the Georgian president's powers were revised in 2018. 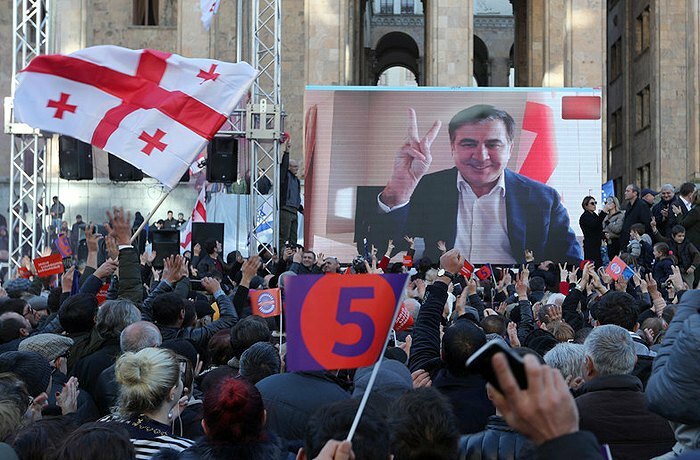 Saakashvili disappeared from the political map of Georgia, the country was led by his opponents from the Georgian Dream party controlled by oligarch Bidzina Ivanishvili. The changes concerned most of the articles of the Constitution and in fact completed the transition to a parliamentary model of governance. Thus, according to the new Constitution, the 2018 election was the last direct election of the president of Georgia. As of 2024, the president of the country will be elected not by universal vote but by an electoral college consisting of 300 representatives. The Georgian president can still pardon convicts, grant Georgian citizenship and represent the country in the international arena, but all steps must be coordinated with the government. The president is authorized to call local, parliamentary and early elections. According to the new Constitution, however, he is deprived of the right to "ask for a discussion of the issue at a government meeting and take part in this discussion". The president no longer has to "ensure the functioning of state bodies within the framework of constitutional powers". Not much. Since 1996, the president of Moldova has been elected by parliament. But in 2016, the direct election was held for the first time in 10 years: the first round took place on 30 October and the second one on 13 November. 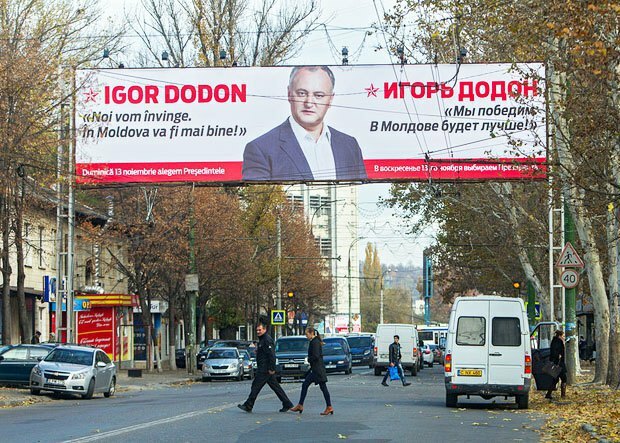 As a result, pro-Russian populist Igor Dodon defeated the pro-European coalition and its candidates. He promised to cancel the Association Agreement with the EU and lead Moldova into the Customs Union; prevent Moldova from joining NATO and even expel its office from the country; and make sure the Moldovan church remains loyal to the Moscow Patriarchate. At the same time, Moldova has long been a parliamentary-presidential country, the president has little authority because all key decisions are made parliament which forms the government. A local oligarch, the leader of the Democratic Party of Moldova, Vladimir Plahotniuc, has major influence on parliament. So, the president carries out the majority of functions one way or another by coordinating his steps with other branches of government. The heads of the National Bank, the Audit Chamber, the National Commission for the Financial Market (NCFM) are nominated by the speaker and appointed by parliament. The Central Electoral Commission (CEC) consists of nine members, eight of whom are appointed by parliament and one by the president. The CEC chairman is elected by a majority vote by CEC members. The president "represents the country in the international arena and is the guarantor of the sovereignty, independence, unity and territorial integrity of the country, commander-in-chief of its armed forces". At the same time, in peacetime, the army is subordinate to the defence minister, who is also the commander of the army and controls it with the help of the General Staff. The president may declare partial or general mobilization, but only with the consent of parliament. The president accepts control of all the armed forces only in the event of military aggression. Also, the president can refuse to sign any law and send it for revision to parliament. But if parliament approves it again and sends it back to the head of state, the president will have to sign it, even if not a comma has been changed in its wording. All international treaties that the president concludes require parliament ratification. In general, the head of state does not have too many independent powers. For example, he can independently grant citizenship or cancel it, award (including with an honorary title) or assign a diplomatic rank. The president even accredits ambassadors and appoints them at the suggestion of the government. 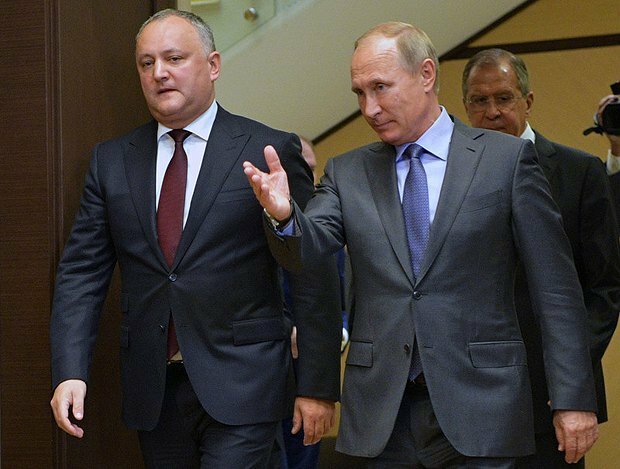 Moreover, the pro-European coalition in parliament used a 40-day pause between the election (13 November) and the inauguration (23 December) to further restrict the modest powers of the pro-Russian leader of Moldova, Igor Dodon. For example, during this period, Dodon was left without his prosecutor-general. According to the law, the prosecutor's office is independent of the legislative, executive and judicial authorities, any political party or political organization, as well as any other agencies, organizations or individuals. Interference in the activities of the prosecutor's office is prohibited. And the prosecutor-general is elected by an agency similar to the Ukrainian High Council of Justice. Once a year he or she must report to parliament. The decree on the appointment of the prosecutor-general is signed by the president. But on 8 December 2016, then President Nikolai Timofti signed a decree appointing Eduard Harunjen as prosecutor-general for seven years at once (longer than the term of office of the president). Although Dodon immediately declared that he did not recognize the legality of this appointment and his supporters asked the Constitutional Court to check the legality of the presidential decree, the court decided that the appointment was lawful. And on 9 December 2016, parliament adopted a separate law No 270 "On amendments and addenda to certain legislative acts" which deprived President Dodon of control over a number of institutions. Thus, the country's main special service, the Information and Security Service (ISS), which used to be controlled by the president, came under parliamentary control. Parliament will also appoint the SIB director for five years under the law. Also, the State Security Service came under government control. Decisions about the participation of the Moldovan military contingent in international operations are now made not by the president, but by a resolution of parliament on the proposal of the government. Thus, after the mentioned changes, pro-Russian Dodon is now bound hand-to-foot and cannot turn Moldova towards Russia no matter how much he wants to. And if parliament needs the signature of the president, but he refuses, MPs now use the mechanism of the temporary suspension of the president. The first time the Constitutional Court of Moldova did this was when President Dodon refused to appoint Eugen Sturza as defence minister. Then the Constitutional Court temporarily suspended Dodon and allowed parliament speaker Andrian Candu to appoint the minister. After this appointment, President Dodon was given back his authority. Then the Constitutional Court of Moldova took the same step when Dodon refused to sign the law banning the broadcasting of Russian news, analytical and political programmes in Moldova (the law "on combating foreign propaganda") and appoint six new ministers to replace those who were dismissed. This time, speaker Candu at once signed the law instead of the president and swore in all six ministers (the Ministry of Foreign Affairs, the Ministry of Economy, the Ministry of Health, the Ministry of Justice, the Ministry of Agriculture and the Ministry of Labor and Social Security), whose appointment Dodon has blocked, in the residence of the head of state. A new deputy prime minister for reintegration also took office. This confrontation between parliament and the president of Moldova has turned the current head of state into a usual piece of props.